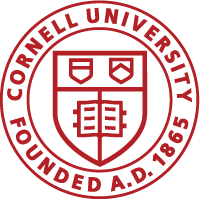 Yücel Can Severcan, an assistant professor at Middle East Technical University, spoke at the Cornell in Rome Palazzo on Monday, offering students an overview of the existing literature surrounding child-friendly cities and a detailed look at his own research in Istanbul. Earlier in the day, Professor Severcan attended the Rome Workshop to demonstrate some of his research techniques. As discussed in my earlier post, the goal of the Workshop is to evaluate the child- and age-friendliness of neighborhoods in Rome. 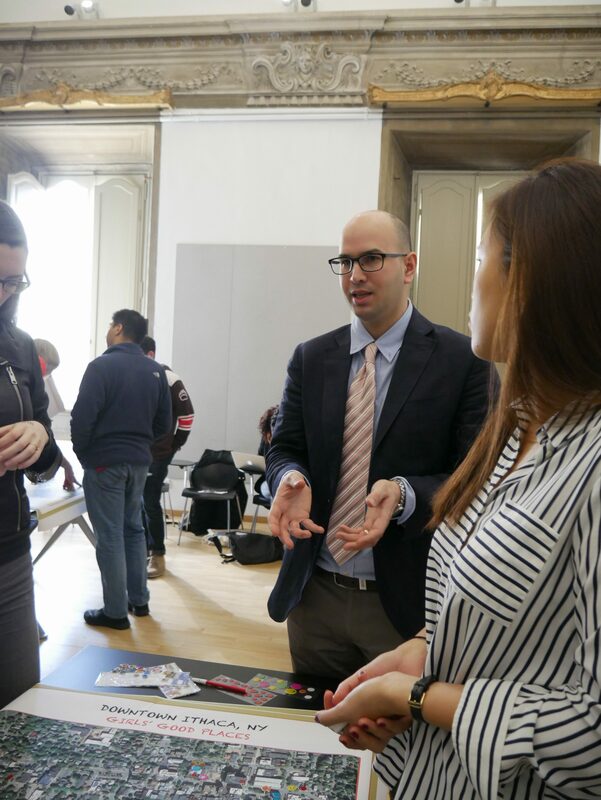 Professor Severcan’s research focuses on how children perceive the city and what they look for in an ideal neighborhood, so his methods are an excellent starting point for our own field work. 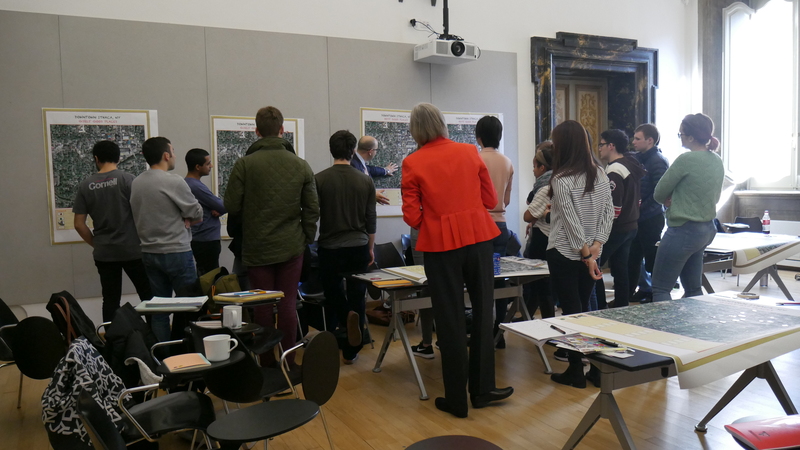 He broke our class into four groups, and each group was tasked with identifying both “good” and “bad” places on a large map of Downtown Ithaca. 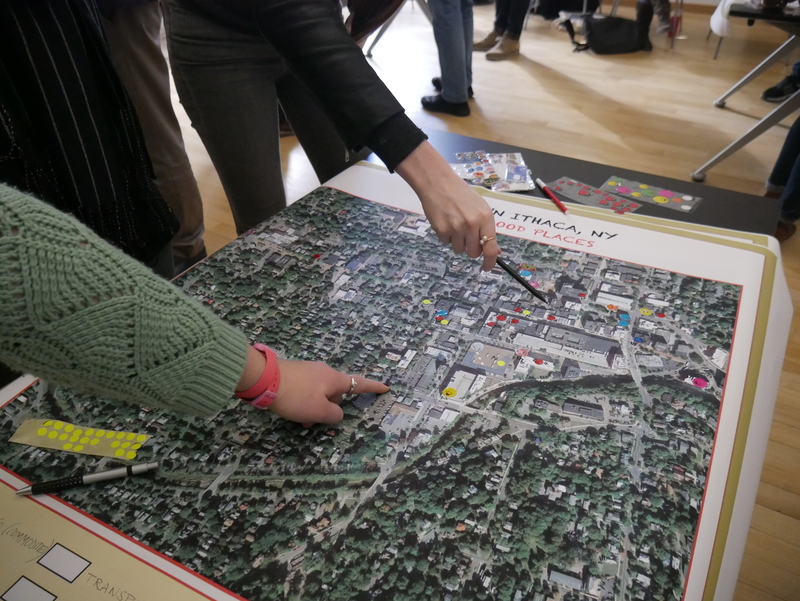 Later on in the class, we used smaller maps to evaluate areas in Ithaca that provided social, environmental, or a litany of other different kinds of benefits to the neighborhood. At his lecture in the evening, Professor Severcan described how he used activities like these for his work in Istanbul, research that centered on two questions: what does a child-friendly city mean to children and how do children view and assess their environment? Through surveys and focus groups of children between the ages of nine and 11 in six different neighborhoods in Istanbul, Professor Severcan determined that, according to children, the most important qualities in a child-friendly city are family and community, transportation and circulation, safety and security, and urban and environmental quality. These factors will be crucial to keep in mind as we begin our own research. In more hands-on activities — participatory photography, activity diaries, design and planning workshops, and GPS tracking — Professor Severcan sought to discern how children perceive the city in different geographic areas of Istanbul. For instance, each child was given a disposable camera and asked to take photos of the places he or she enjoyed the most in his or her neighborhood. Professor Severcan then analyzed what sorts of objects and places the children photographed. One of the most interesting takeaways from Professor Severcan’s work was that as redevelopment increases in a neighborhood, children pay more attention to the physical form as opposed to the social form. Children in these more redeveloped sections of the city also interact less with nature and appreciate history less. Many of these activities are directly relevant to the kind of field work we are hoping to do in our Rome neighborhoods. The lecture, along with this upcoming weekend’s field trip to Tuscany and Monday’s announcement of the four- and five-person neighborhood study groups, will allow us to hit the ground running when we officially begin our major research project in the coming weeks.